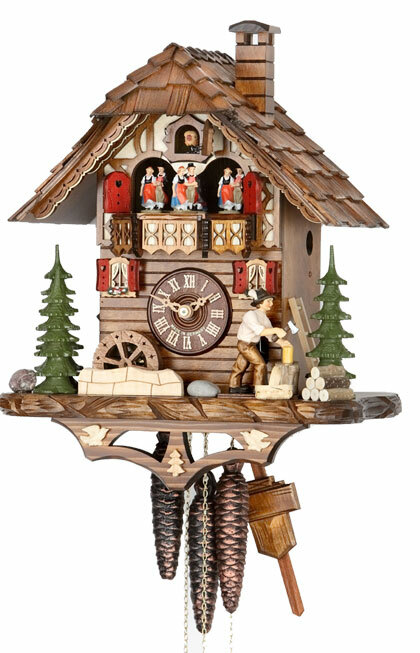 15 inch new musical 1 day chalet cuckoo clock by Hekas with wooden woodchopper. 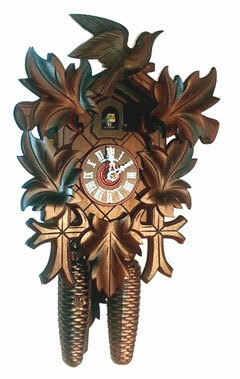 Clock also features turning waterwheel . Clock features roof with dozends of handcut wooden shingles , nicely done 2 tone wood work. Wooden dial, numerals and cuckoo bird. Laser cut windows with red wooden shutter. Clock plays 2 tunes and features night shutoff.